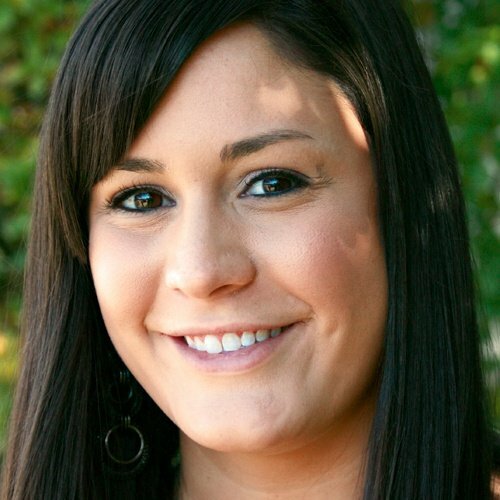 Moving to a college campus is an experience that will not soon be forgotten, especially by family members taking their student away to school for the first time. Help make this transitional time less stressful by offering resources and assistance to freshmen and their families. Prior to the big day(s), obtain permission from your school’s residential department to set up stations near residence halls and help students on move-in day. Then, determine where you will set up stations, who will staff them, and how your strategy will work. There are several options your store can explore. For instance, you can offer assistance at the entrance of every dorm or select several key locations on campus. You can simply provide educational information and answer questions or take a more active role by having your staff help students with heavy lifting. Depending on the distance, consider assigning one employee to lead groups of new students back to your store to purchase both books and supplies. Regardless of which you choose, we suggest having at least two staff members at each booth to ensure you can adequately assist visitors. If you don’t have enough employees to meet that need, consider hiring upperclassmen students as interns specifically for the move-in days. This experience could offer valuable training for those interested in marketing, business, event planning or other related fields. Stock up on bottled water and any other incentives your store can give away to encourage students to stop by. You can also provide students with information outside of your own benefit such as campus maps, student activity guides and even a list of local restaurants. It’s just one more way to show them that you’re on their side! Equip your booth with lots of handouts about your services so that the incoming class can learn all that you have to offer. We’ve created informational flyers to help! These resources educate students on how textbook pricing, buyback, and other important events really work and, as always, they're free! Check 'em out! You can also provide students with information outside of your own benefit such as campus maps, student activity guides and even a list of local restaurants. It’s just one more way to show them that you’re on their side! 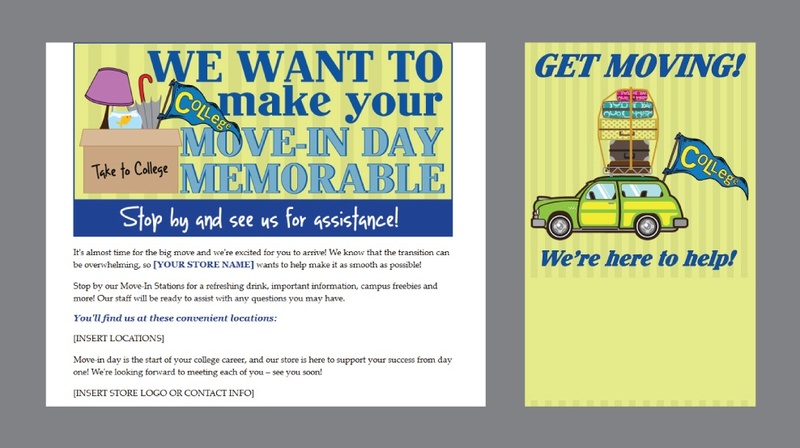 Place an ad or flyer in some of the materials that your school sends out to incoming students. Post on Facebook groups dedicated to the incoming class as well as your school’s social media pages to inform students of the help that they can receive from your store. Stay active on your own online communities, too, by regularly promoting your upcoming endeavor. Welcome new students! Are you ready for move-in day? Be sure and check out our store's stations located at [insert_name] residence hall for free bottled water, campus maps and more! Happy Move-In Day! If you need assistance, check out the @UniversityBookstore’s booths - multiple locations at [insert_names]! It’s Move-In Day! Keep us posted on how your big move is going! If you need assistance, stop by one of our booths at [insert_names]! 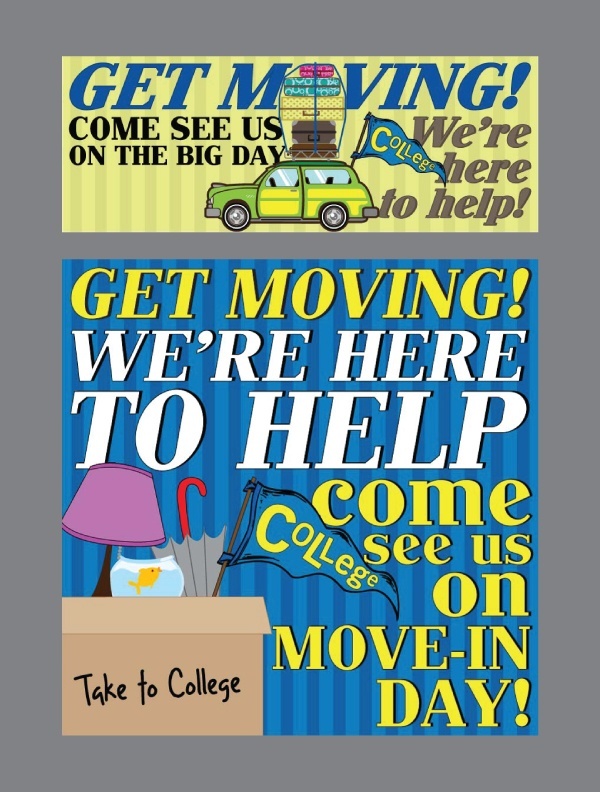 On move-in day, post flyers in and around residence halls giving students and families directions to your nearest booth. Ensure your staff is stocked with the necessary supplies to make the big move more manageable and is ready to answer questions. While you are interacting with parents, explain the value of textbook reservation programs, dorm deliveries, or any other services that freshmen may find valuable. This is a great opportunity to educate both families and students on the benefits of shopping at their college store. By making the transition as smooth as possible, you will gain loyal customers for the next four years!